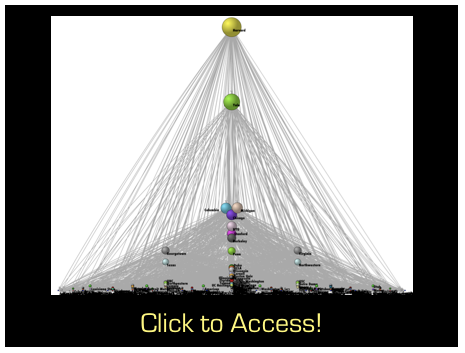 Welcome to the Online Supplement for Reproduction of Hierarchy? 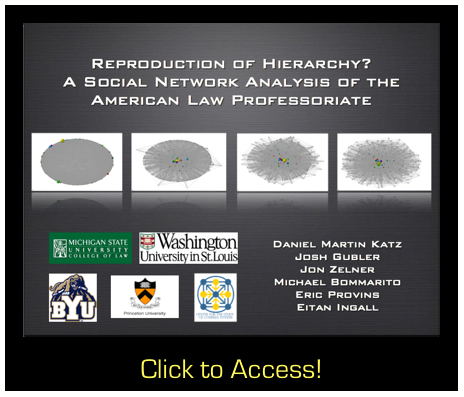 A Social Network Analysis of the American Law Professoriate, 61 Journal of Legal Education 1 (2011) by Daniel Martin Katz, Joshua R. Gubler, Jon Zelner, Michael Bommarito, Eric Provins, and Eitan Ingall. On this page, you will be able to access presentation slides, review high quality color versions of the images presented in the paper and run the computational simulation in your browser. (3) Presentation Slides from Friday Faculty Lunch @ University of Texas Law School – Click to Access! 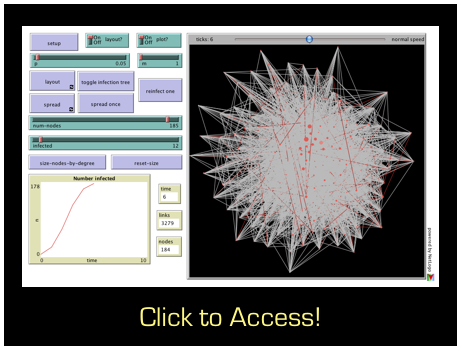 (4) Run the Computational Simulation in your Browser (Full Documentation Included) – Click to Access! 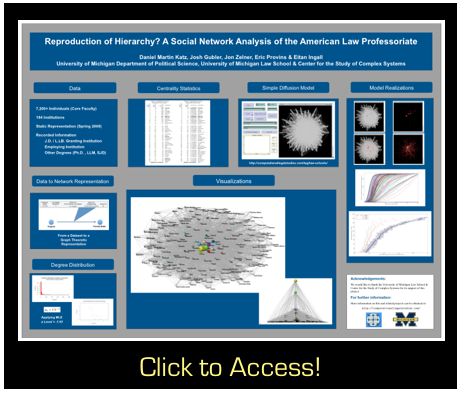 (5) Poster from the 3rd Annual Conference on Empirical Legal Studies ( USC Law School – 2009) – Click to Access!